I hope and pray that this fall has been as good for you as it has for me! I just arrived home from Intern Training in Atlanta, GA and a quick visit with my Fiancee in Virginia. For those of you who care, we have set a date for our wedding! June 9, 2018! While I was on the east coast I also was able to visit RTS Charlotte and see my old campus minister Dave Latham and his family for the day. I am very excited to be looking at Seminaries that I will potentially be attending. Please pray for Anna and I as we try to figure out what will be next in our lives together. As we enter into the end of the semester and the calendar year is coming to a close, it is time to think about next semester, our ministry, and the support needed to end the year strong. All gifts given online or postmarked before the end of the year are TAX DEDUCTIBLE! By the end of December I need about $3000 to be fully funded through the end of the school year! All the money given goes toward the ministry of RUF as well as helping me live in Boise and dedicate my attention to the students and campus of Boise State, Reaching them for Christ and equipping them to serve the church. Without the support I will have to leave campus and my ministry with RUF will end before its planned ending in June 2018. Please Prayerfully consider supporting me with a one time gift. Gifts of all amounts (both one time and monthly) are accepted, the most popular one time gifts are 100, 600, and $100. The most popular one time gifts are $35, $50, and $200 per month. Thank you for all your prayer and support over the last year and a half! Those of you who are supporting monthly, thank you! Your automatic monthly gifts will automatically stop at the end of the internship, those who give checks monthly, you can stop giving at the end of May. With this being my freshman year at Boise State, I knew a lot of change was about to take place and I needed to find clubs or organizations with which I felt a belonging to. I had so many great plans in my head like joining Greek life or even a club sports team. After the first week, I started to feel more discouraged. All those organizations I once thought would bring me so much love and connection ended up simply causing me to feel farther from what I truly wanted out of my college experience. It was about that time that I remembered attending RUF’s pizza party on the first weekend of school. I recalled all the people there being so friendly and I decided to give it a try. After just that first fellowship I attended, I felt more welcomed than I had in any other group I tried yet. RUF gave me the confidence and strong foundation to think positively throughout the first few months with so much change happening. Every song, fellowship, bible study, and coffee session was so loving, positive, and God-centered which always left me with a smile on my face. I cannot wait for what the next few years of RUF will provide for me and many others! After transferring to Boise State, I knew I wanted to find a community where I could be myself while continuing to grow my faith in college. I was blessed enough to come across RUF and immediately knew it was exactly what I was looking for. RUF at Boise State has presented me with opportunities to meet some of the best friends I have ever had, has pushed me out of my confront zone through leadership opportunities, and most importantly has allowed me to grow as a follower of Christ with others who are set out to do the same! Everyone involved with RUF is amazing and they have all helped me to make some of my greatest memories in college so far. My first year of college I was scared that I wouldn’t find any friends. In high school, I struggled with finding Christian friends and I spent all my time with non Christians. While I think it very important to be friends with people who are not Christians, I felt as though I wasn’t able to connect to my friends and have true Fellowship because we didn’t agree on our fundamentals values and world views. I felt like I was always giving and yet still getting pulled into some sort of darkness. I made fun memories with my friends but I never experienced real genuine friendship. When I came to Boise State and became a part of RUF I finally found real friends who shared my fundamental values and I finally felt like I found a real community. This is the first year in my life I have figured out what it really means to have a friendship with another person. 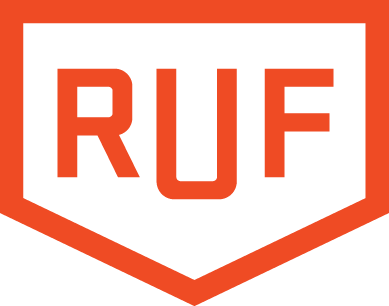 RUF has given me a community where I can fellowship with other Christians, be accountable with my Christian friends, serve my community, and am able to express how I feel and have real and genuine relationships. This has been one of the most amazing things to experience and I can’t wait for the next 3 years being a part of it. Going into my freshman year of college, I felt overwhelmed. I had forgotten how extreme my social anxiety could be. The thought of even leaving my dorm room would put me in a downward spiral: my mind would race, it felt hard to breathe, I felt like I was lost, like I was drowning, I was breaking down. I felt as if I walked out of my dorm door, something terrible would happen. Because of this, I was starting to question my identity in Christ. The only thing that I would voluntarily go to, besides class, was RUF. Every week people would welcome me, remember my name, and genuinely care about my well-being. The students and staff of RUF asked me to be apart of their activities and lives. They sincerely wanted to know who I am, not just my major, year in school, and whether or not I like to party. Going to RUF on Tuesday nights was the highlight of my week, the one social activity that I looked forward to. RUF soon became my safe place, the one place I felt like I could be myself with no judgment, only love. They loved me when I no longer loved myself. Through the selfless love, caring nature, and genuine interest in my life, the students and leaders of RUF helped me back on my feet, and to be confident in who I am in Christ. I have only been a part of RUF for one year, but I do not want to imagine where I would be in life, or what would have become of me, without RUF.